Bitemarkers had cases overturned in the 90’s. Doubt’s about this pseudo-science claiming “uniqueness” started in the 1970’s ( See Gianelli ). No courts paid attention by their claiming “case acceptance” by similar brethren was overwhelming. We now know acceptance by a few incentivised practitioners is no substitute for multi-variate and empirical testing. The damage in many such cases is unrecoverable. As in this Canadian case, the people getting paid to purvey their junk forensics just kept on lying and making money. Above is Fr. 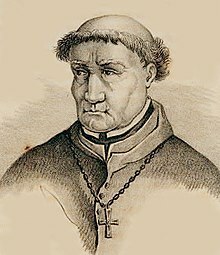 Torquemada of the Sp. Inquisition. Father T. had all the necessary reference material about witchcraft in this once-revered tome. Innocents paid the price. In the thousands. This article is about one court’s take-down of a fraudulent crime lab over 20 years ago. The damage from this fraud is yet to be fully assessed. This entry was posted in forensic science reform protecting the innocent and tagged forensic examiner error, junk forensic science, Miscarriage of justice. Bookmark the permalink.